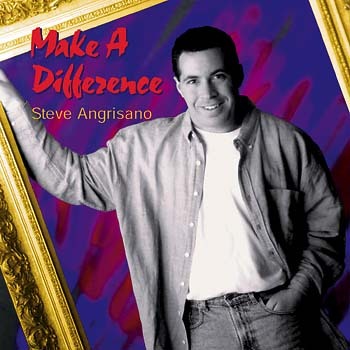 Animate worship with the joyful sounds of contemporary music from Steve Angrisano. Steve's first album offers contemporary songs that tap the often-hidden spirituality in all of us, songs that challenge us to be agents of positive change in the world. Leading us to imagine, trust and work toward God’s future kingdom, this collection allows for authentic worship that honors our tradition but also our present experiences of God. Created in collaboration with Tom Tomaszek, Make a Difference is well-produced, rhythmic, funky and jazzy, mixing spirited pop tracks and gorgeous, wispy ballads. Highlights include "My Soul Is Thirsting" and the ever-popular "Go Make a Difference," with its irresistible refrain, familiar to those who've ever heard one of Steve's inspiring performances. The songbook provides your musicians with the accompaniment parts they need to lead your assembly in song. Note: This collection contains Mass parts that are no longer approved for liturgical use.